When I first moved to DC, I honestly wondered how I would fit in. In this town, networking is the word of the day, and after-work Happy Hours are often the norm. Not only this, but with a never-ending stream of can’t-be-missed events going on all around the city, I found myself desperately trying to attend every possible function for fear of missing out on something! All of the hustle and bustle was exciting to me as a young person in a new city, but as an introvert who craves down-time to be alone and recharge, I was left feeling tired, worn out and spread too thin. It was time for a new approach! 1) THERE WILL ALWAYS BE ANOTHER MUST- SEE EVENT. I realized that my exploration of the city shouldn’t be an obligation, but something that I want! On my time! This realization not only allowed me to take the space I need without feeling guilty for missing out on something, but allowed me to better enjoy the time I choose to spend socially. 2) Choose wisely! 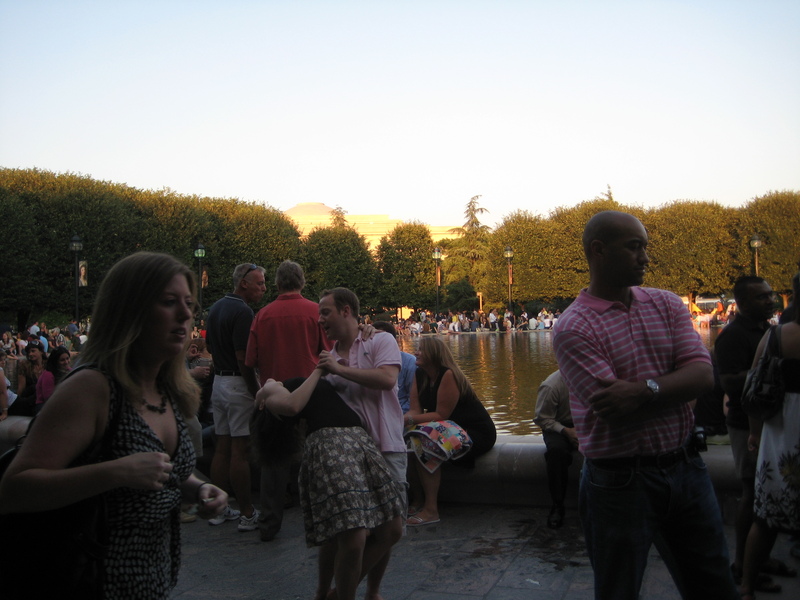 While there will always be a long list of social and intellectual happenings going on on any given day here in DC, I’ve learned how to pick and choose the things that are important to me. I ask myself– is this event/gathering/activity something that I will regret not doing? 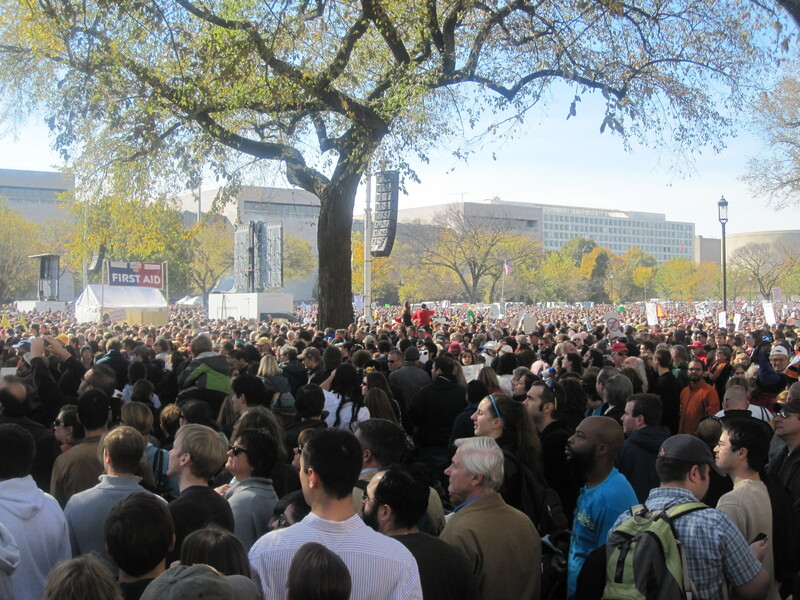 For example, last year’s Rally to Restore Sanity with Jon Stewart and Stephen Colbert. While the event drew huge crowds and placed me slightly outside of my comfort zone, I’m so glad to have been a part of it! 3) Plan ahead. When it comes to Friday night, and all I want to do is cuddle up on the couch with my honey, read a book, work on some knitting or watch some movies– it can take some convincing to get me out of the house and hitting the town. However, I’ve found that if I plan slightly ahead to go to a particular event, for example, my favorite monthly funk and soul dance party- Fatback, I’m much more likely to go! For you other introverts out there, I highly recommend taking a look at Susan Cain’s amazing Ted talk on the power of introverts, and reading her book. It’s nothing to be ashamed of! If you’re an introvert, how do you balance your introverted ways with your surroundings? How do you cope and recharge to find balance? This entry was posted in Explore, Thrive, Washington, D.C. and tagged balance, being yourself, DC, introvert, melissa, mental health, networking, thrive. Melissa (D.C.) is a bespectacled, red-lipsticked health policy wonk who reads way too many blogs and decided it was time to contribute to one. She has made Washington, DC her home for the lastseveral years and is still searching for a burrito that compares to those in her native California. When Melissa’s not chasing down pop-up vintage shops, local sausage startups, and museum parties around the city, she can be found cooking in her closet-sized kitchen or reading/knitting next to a giant cup of tea. I am the same way! Thanks for these great tips, Melissa.